The Dakota Access Pipeline protests, also known as #NODAPL or the Standing Rock protests, began after Energy Transfer Partners gained approval to build a pipeline running from Bakken oil fields in North Dakota down to Illinois, passing beneath near the Standing Rock Indian Reservation. Its construction results in devastating environmental impact and threatens the region’s waters as well as ancient burial grounds and sacred sites. 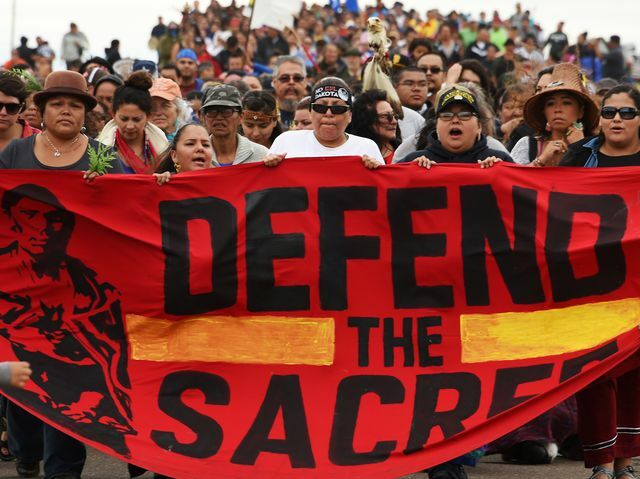 In reaction, the Standing Rock Sioux tribe began a series of grassroots movements against the pipeline’s constructions, and were joined by protestors from across the country. The presenters will address the ongoing resistance movements lead by indigenous people and allies of different cultures and faiths not only at Standing Rock but also around other sites of possible oil pipelines and where resource extracting threatens land, water, sacred sites and lives.